The roots of our organization were firmly grounded in volunteering, and giving individuals the opportunity to develop. This remains at the core of the mission of the charity to empower and develop people to equip them to reach their potential. 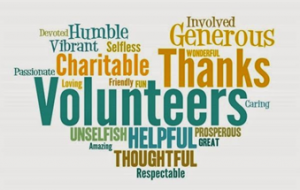 Volunteering is vital to the sustainability of the organization, the workforce from Directors, CEO, Managerial Staff and Delivery staff all volunteer a percentage of their time. At the heart of the organization is the desire to empower and equip people to reach their full potential and the organisations works closely with local secondary schools, Sandwell College and Birmingham University to provide placements for students with an opportunity to get on the job experience, share their knowledge gained through their studies. A time bank is a new kind of money based on time. For every hour you spend providing a service to another member of the Scheme you will earn: One Time Credit you can spend your credits ‘buying’ an hour of someone else’s time, so they can provide a service to you. Everyone’s time and talents are valued equally- you give an hour and get a hour back.